Making the switch to hosted voice can allow your organization to unlock significant cost savings while achieving a solution that meets the needs of your mobile and remote employee workforce. However, finding the right provider isn’t always straightforward. There’s no shortage of vendors, and these options can vary significantly in terms of service options, pricing, and approach. Even if you’re certain that voice-over-IP (VoIP) is the right approach, vendor selection is another story entirely, and proceeding with caution is an important tool to avoid dissatisfaction with your new business phone system. Upgrading to hosted voice shouldn’t be challenging, but far too many organizations experience hidden costs, quality dissatisfaction or other pitfalls due to confusion during the vendor selection process. In this blog, you’ll learn seven key signs of an exceptional business hosted voice service provider to help you narrow your options. One of the most important ways to drive value with a hosted voice services provider relationship is choosing a vendor who offers both hosted voice and internet connectivity. Putting your voice communications and data on the same network can lead to higher quality business communications, simpler troubleshooting, improved information security, and a host of other benefits. The majority of hosted voice providers rely on a “bring your own bandwidth” model for their clients. While these vendors assure their clients their phone calls are transmitted over a “private, direct connection” the dual-vendor network can compromise reliability. Voice calls are transmitted into data packets, which are transferred to the national VoiP provider and sent over the open internet. When in transmission, they fight for priority with consumer internet traffic, which can cause business call packets to be dropped or delayed. The end result of the “bring your own bandwidth” approach to hosted voice can be jitter and bad quality audio, especially during times of day when consumer demand for internet bandwidth hits its peak. When you call for troubleshooting and customer service, who will answer your support call? Will you be speaking with a locally-based employee of your business VoIP services provider, or a customer service representative in an outsourced call center? Unfortunately, many hosted voice vendors choose to cut their overhead costs by cutting corners where it matters most... resulting in low-quality customer service. Before you select a VoIP partner, ask where their customer service team is located and whether they outsource their support or keep their service representatives in-house. Inquire carefully about the level of expertise and training to ensure the hosted voice providers CSRs can help you troubleshoot your issues when you call. Finally, make sure their customer service is offered 24/7, 365 days a year, so you’re never left without support. For the vast majority of businesses--98 percent--a single hour of downtime costs at least $100,000. You probably can’t afford the consequences to your company reputation, customer relationships, or productivity if you lose hosted voice service for an extended period of time. How do you handle network congestion during high demand? How do you ensure client voice communications receive priority? How do you protect clients against phone service fraud and other cybersecurity threats? Do you have internal disaster recovery planning solutions, such as redundancy to ensure clients don’t lose phone service? Increasingly, consumers are realizing they can save a lot of money by switching to IP-based phone services, too. There’s a number of companies who offer hosted voice services for customers, including RingCentral, Vonage and others. There’s little standardization in the hosted voice services field, and understanding the difference between true business-class hosted voice and consumer-grade VoIP can be confusing, especially for organizations making a first-time switch. If necessary, your organization may also need to inquire about enterprise-class hosted voice services options which carry the guarantee of HD voice service quality and reliability. The best way to tell the difference between a provider who delivers on their promises and those who don’t is to ask about their availability record. Ideally, your prospective vendor should have a track record of at least 99.99% availability. Among these benefits and features, it may be most important to ensure your provider offers exceptional VoIP mobility. This is defined as the ability to use hosted voice service when moving from one location to another while using the same phone number on both the office softphone handset and on a mobile device. This is achieved through mobile integration. Hosted voice providers vary in experience, price, and quality. While hosted voice technology is evolving relatively quickly, your experience as client is likely to be much smoother if you select a provider with significant experience and strong customer satisfaction scores. Interview vendors carefully to ensure they’re knowledgeable with the industry, the hosted voice platform they’re using, and voice implementations at organizations which resemble your own in terms of size, industry or technical requirements. Checking client references is key, especially if you're in a highly-regulated industry. When it comes to choosing the right hosted voice service for your business, the cost is only one part of the equation. You also want to ensure your monthly service fee will provide high-quality voice communications, the right features, and expert support when you need it. 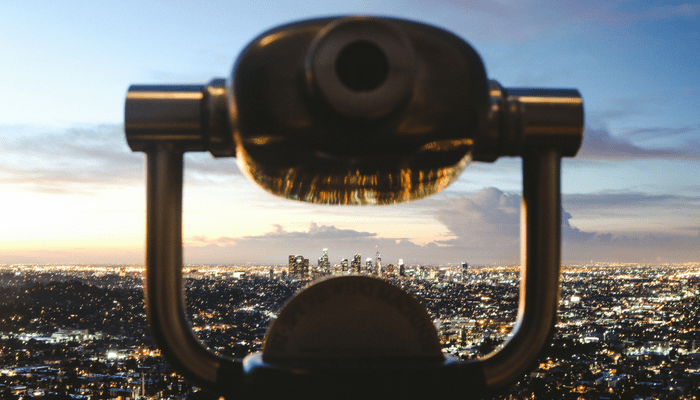 With a smart approach to vendor selection, you can develop a long-term business partnership and unlock the benefits of cloud-based phone systems. Understanding your organization’s hosted voice services needs can be among the most complex parts of making the switch to hosted voice services or changing VoIP providers. How much will it cost to add phone lines when your company grows? Do you need a toll-free number? Should you sign a contract? 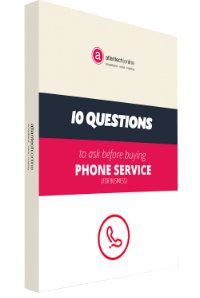 Find in-depth guidance to answering these questions and more in the free eBook: 10 Questions to Ask Before You Buy Phone Service for Your Business.